Prairie People Métis Economic Development Corporation (PPMEDC) is a for-profit Métis economic development corporation based out of Saskatoon, Saskatchewan. Focus is on wealth creation through the acquisition of existing businesses, start ups and Joint Ventures. Our vision is to be a successful and sustainable Métis economic development corporation. Our mission is to provide economic development leadership and foster business partnerships to support social development and reconciliation. In Canada, the duty to consult and accommodate with Aboriginal peoples arises when the Crown contemplates actions or decisions that may affect an Aboriginal person’s Aboriginal or Treaty rights. This duty arises most often in the context of natural resource extraction such as mining, forestry, oil, and gas. While located in Saskatoon, PPMEDC operates within a traditional land use area covering South of the North Saskatchewan River, East to Manitoba, West to Alberta and South to the USA border, PPMEDC hereby asserts its Aboriginal rights on these traditional and current land use areas. Our citizens have historically and in contemporary times lived, hunted, gathered, fished and held ceremonies across South-Central Saskatchewan and as a result hold rights as an Aboriginal community. SIIT offers certificate and diploma programs in the areas of trades and industrial, business and technology, health and community studies, and adult basic education to more than 2,400 students annually. Assisting Métis individuals interested in participating in the employment-based programming. Central Urban Metis Economic Federation Inc. (CUMFI) is a charitable entity based out of Saskatoon, Saskatchewan. CUMFI concentrates their efforts to address the social-economic discrepancies faced by urban Aboriginal People in Saskatoon, working in sectors such as education, health, housing, justice, and sports & recreation. Owned and operated by PPMEDC, Bobby’s Property Maintenance has been a leader in residential and commercial property maintenance for the past 15 years. NRG Inc. provides a wide array of consultancy services to federal and provincial government entities, industry, and First Nations and Métis clients. PPMEDC commits to working towards fulfilling its mission and achieving its vision for the benefit of the community it serves. Central Urban Métis Federation (1993) Incorporated (CUMFI) was founded in 1993 and incorporated by a group of Métis people living in the City of Saskatoon, Saskatchewan. The mandate of CUMFI is “to ensure that the voice of Métis people is heard at the municipal level within Saskatoon and district. CUMFI reincorporated its non-profit status within the Saskatchewan Non-profit Corporations Act, 1995, to register as a non-profit charitable organisation. CUMFI strives to promote the heritage, cultural, economic, educational and social well-being of the Métis community in Saskatoon. During the past 14 years, CUMFI has grown to nearly 6000 registered members and has acquired multiple apartment buildings to support Aboriginal people of Saskatoon, primarily the urban Métis people. Oct 22, 2017, marked the inaugural meeting of Prairie People Metis Economic Development Corporation (PPMEDC). PPMEDC’s mandate is to create Economic Growth through new Métis business opportunities. The economic development corporation of PPMEDC looks to create joint venture partnership with the intent to develop socio-economic wealth in the community. 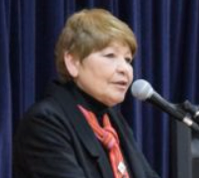 Isbister was elected in 2008 as the President of Central Urban Metis Federation Inc. (CUMFI). Under the leadership of Shirley, CUMFI has grown to 170 staff, owning numerous commercial properties in Saskatoon and has acquired several successful partnerships. Under Shirley’s leadership, PPMEDC is well positioned to create wealth and employment for PPMEDC and the people it serves. Mr. Kelly Pruden has an extensive professional career pursuing Metis economic and social development. Joining PPMEDC in 2017, he has focused his efforts on business development and acquisition. Over the past 25 years, he has demonstrated strong civic and community leadership; building on relationships with regional economic development partners. His mandate is to provide long-term profitability to PPMEDC and increase employment opportunities for the Metis within the community. With a focus on economic development in Metis organizations, he believes in sustainability through wealth creation. 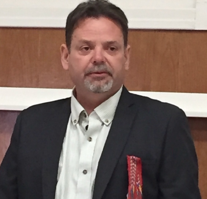 Mr. Pruden is committed to creating an attractive economic climate for the Metis people by building on local partnerships, assets, resources and heritage. If you would like to make an inquiry, discuss a partnership, or project, please see the form details below. We look forward to your inquiry!